Have you found that no matter what you do to get yourself out the hole, you stay stuck in poverty with your business and your life? Have you had too many charlatans reap havoc on your well-being and are just dying to have a genuinely good resource for construction marketing services? Do you need to take your business to the next level in order to achieve your goals of time freedom and financial freedom with your business? Well with Redmond Growth, these goals can be a reality. While many business owners over the years struggle and fight through life to get to their goals, we provide the expertise and construction marketing know-how to get you there at an expedited pace. Because with our work, the purpose is simple: “We fix broken businesses and make good businesses great.” That’s what we were able to accomplish with Blackstone Services. 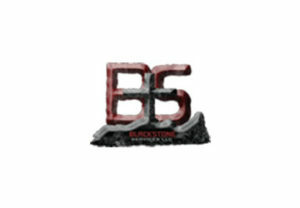 Blackstone Services is a residential and commercial construction company that has capabilities for numerous scenarios. Whether they be small or large-scale, they can provide remarkable services to you. Unfortunately, these guys had been struggling to make any ground in their business for several years. They needed to make a change, but similar to most entrepreneurs, a guiding hand is essential in the process. Even top CEOs and founders of trillion dollar companies follow the same policy, like Bill Gates and Eric Schmidt. First of all, it’s obviously important that you generate leads for the business. The important point about this is that the leads are consistent. While there may be slow seasons due to weather or scenarios out of our control, we can still be very proactive in doing whatever we can to build a turnkey operation for work. So with our construction marketing services, this can fortunately be a reality for your business efforts. Now that you’re getting more and more work in the door, the next step is to ensure that no matter what happens, you are profiting an appropriate amount with your work. Of course, you don’t have to gouge people of their finances just because you can. It’s all about seeing what your market is utilizing with their competitive prices and becoming the more favorable option to your ideal and likely buyers. So as the construction marketing works for the ultimate good of growing the business, we also have to make sure the profits are growing as well! Time is of the essence as a business owner. More and more as the business grows, you’ll soon realize that time will become your largest commodity instead of purely money. So what can you do to get yourself more time freedom? Well along with our construction marketing work being implemented, we’ll also implement a very important method to daily planning and building out your schedule. It’s quite possibly the most difficult thing for entrepreneurs to get behind, but they soon realize the massive importance of the task (along with the importance of contractor advertising). They often wonder how they were surviving without managing a tight calendar and to-do list. One of the biggest factors for ensuring time freedom as part of your business future is to hire on a quality team to efficiently grow the operation. Many contractors are hell-bent on the belief that there are no good workers out there! While the climate is pretty barren when it comes to great, quality team members, they still do exist. Or more often than not, there are B player employees that you can hire who could become A player status people. We not only provide awesome resources for construction marketing, but also a best practice system for finding and hiring these great people, even for contractors! For all these topics that we’ve discussed and many more areas of concern, the pivotal key to the goal of time freedom and financial freedom is to always trim the tree. At some point, the focus is no longer on the huge obstacles in our way for growth, but it’s on the 2% that we can improve on every single week. That way, we improve the business by 100% every year. These changes can be adapted for the construction marketing efforts we make and any other system we implement. With the two or so years of hard work and dedication, you’ve now reached the point that so few entrepreneurs reach, time freedom and financial freedom. There are too many entrepreneurs (the majority of them in fact) that exist in this world where they have their own business, but hate their own business. The ambition to do something on your own didn’t end up the way you thought it did. With Redmond Growth, we have a deep catalog of clients that either worked with us briefly to gain a couple, important nuggets of knowledge or clients that stuck with our construction marketing efforts and found fantastic results because of it. If you’re tired of being in the dumps and need a guiding hand to lead you to the promised land via our contractor marketing services, it’s time to join Redmond Growth! We’re always available to set up a free, hour-long business assessment to deep dive and give proactive measures for your business. No strings attached! Just give us a call at 918.361.3047.